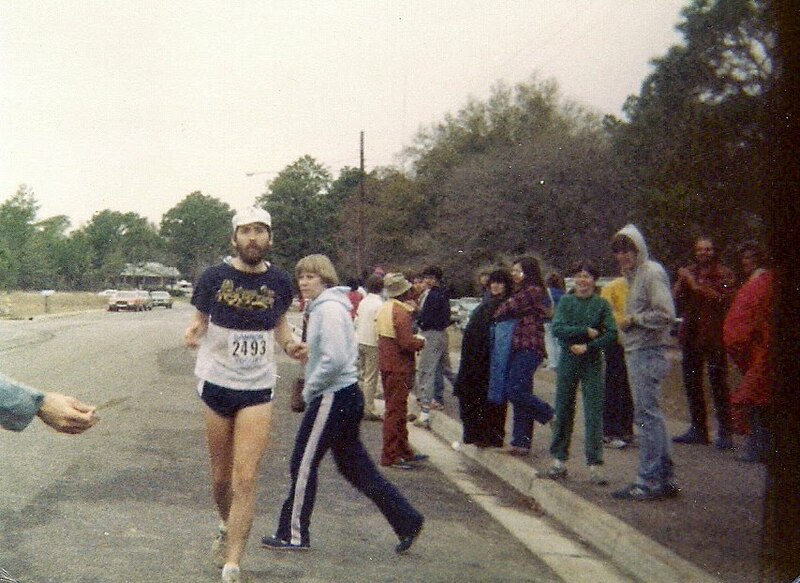 The picture is me finishing my 1st Marathon in Wilmington NC in March 1981. I would not enter another marathon until November of 2002 after running my 1st ultra in Feb of 2002. There were quite a few other shorter races before this one and many since so with nothing else planned for 2010 I thought I would do a little re-cap of the number of races I have completed. Total # of running races since my first 10K in March 1978 is 312. Of those 312, 34 are marathons and 57 are ultra-marathons and all of them have been since 2002 except for that first marathon. From the first one in 78-79 I did 26 races. The decade of the 80's I did 120. the 90's I didn't do much running at all but I did compete in 24 races. the decade from 2000 to 2009 was my most prolific decade of racing years with 130. I did one Duathlon in 2002. Looking forward to continuing with another great decade of racing ahead. and I may be delusional but at age 55 I think I may still have a shot at improving my pr's in all distances from the marathon up to 100 miles so stay tuned.